FISHING -- The area of the Snake River upstream from Lower Granite Dam has been the hottest September spot in the Columbia River system for bounty angers targeting northern pikeminnows for cash rewards. The 2013 season for the Northern Pikeminnow Sport Reward Program, funded by the Bonneville Power Administration, ends today. 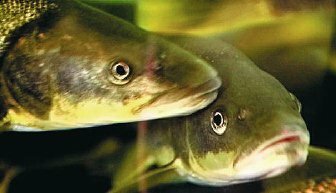 Angers who report to any of 21 check stations along the Snake and Columbia rivers have been earning $4-$8 per fish in the program to suppress predators that prey on young endangered salmon. Bonuses of up to $500 can be collected from fish that are tagged as incentive to attract more anglers. In the most recent week of reports, Sept. 16-22, the Greenbelt's 54 anglers fishing out of the Clarkston area caught 1,051 pikeminnows. The next closest total was reported by the Boyer Park check station, with 74 anglers catching 890 fish. Overall for the season that started in May, Boyer Park's 1,913 registered anglers have turned in 24,145 pikeminnows, second only to The Dalles Boat Basin, where 3,368 anglers have turned in 26,265 fish. The harvest total from Sept. 16-22 -- the latest data available -- was 6,363 pikeminnows (compared with 6,327 the week before) from 517 anglers (579). The catch average was 12.3 fish per angler up from 10.9 the previous week with three tags recovered (two). One tagged fish was caught for every 2,121 pikeminnow caught (one for every 3,163 the week before). The harvest season total is 155,245 pikeminnow from 19,622 anglers for a catch average of 7.9 fish per angler with 158 tags recovered. The best catch rates this past week occurred at PortCo (Marine Park) with 29.0 fish per rod; Washougal with 28.5; Ridgefield with 23.7; Gleason with 20.4; and Greenbelt with 19.5. Studis have shown that northern pikeminnow, a large member of the minnow family, eat millions of young salmon and steelhead, and other fish like bass, walleye and shad in the Columbia and Snake rivers each year. The more northern pikeminnow an angler catches, the more the fish are worth. The first 100 are worth $4 each; the next 300 are worth $5 each, and after 400 fish are caught and turned in, they are worth $8 each.